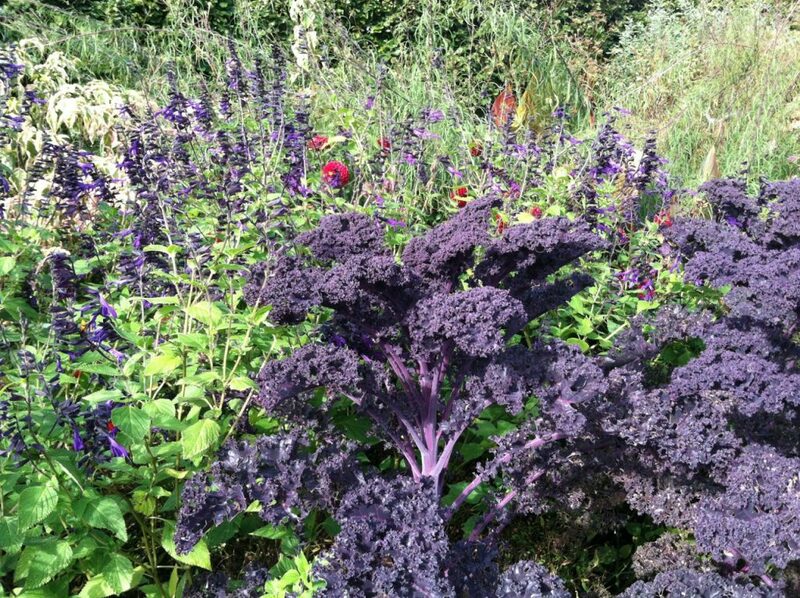 It’s June: What Can Be Done in the Garden? It’s June in the garden. What are some of the things you could be doing? For starters, with spring’s unsettled weather finally yielding to the more predictable warmth of summer, it’s time to consider giving your houseplants a summer vacation outdoors. Make sure to provide all houseplants with a sheltered, lightly shaded spot when you first bring them outside to protect them from sun and wind. Depending on the plants, some may require full shade all summer, while others will enjoy a real sunbath. Since most of your plants will be growing more strongly in summer, be sure to keep up with fertilizing as well as watering. Amaryllis that blossomed for you in winter can be summered over outdoors, a ritual that rebuilds the bulb for another season of winter bloom. Plants will benefit from the stronger sunlight in the garden and are happy in a full sun location after a gradual introduction. Their strappy foliage is feeding the bulb for next winter’s performance. You can knock the bulbs out of their pots and plant them in a bed, or leave them as they are in their pots. If leaves turn yellow, cut them off at the base. We keep our Amaryllis outside until light frost blackens the foliage in autumn, then we store them in a cool (55 degrees F), dark place such as a basement for a period of 8-10 weeks. For more information on caring for these exotic bulbs, see our Amaryllis Growing Guide. What else should you be doing in the garden? Prune Lilacs now, removing spent blooms. Tomatoes will start growing rapidly. Keep plants secure to their stakes or supports by using ties, clips or cotton rags. We like to pinch off suckers, the additional stems that appear in the axils between the leaves and the main stem. For more information on caring for Tomatoes, see our Growing Guide. Mature Nepeta (Catmints) can get floppy after bloom. After the first flush of flowers, cut back the plants to just a few inches tall. They recover quickly and are more likely to maintain a mounded shape following a serious haircut. Remove spent Rhododendron flowers as soon as the blossoms subside. 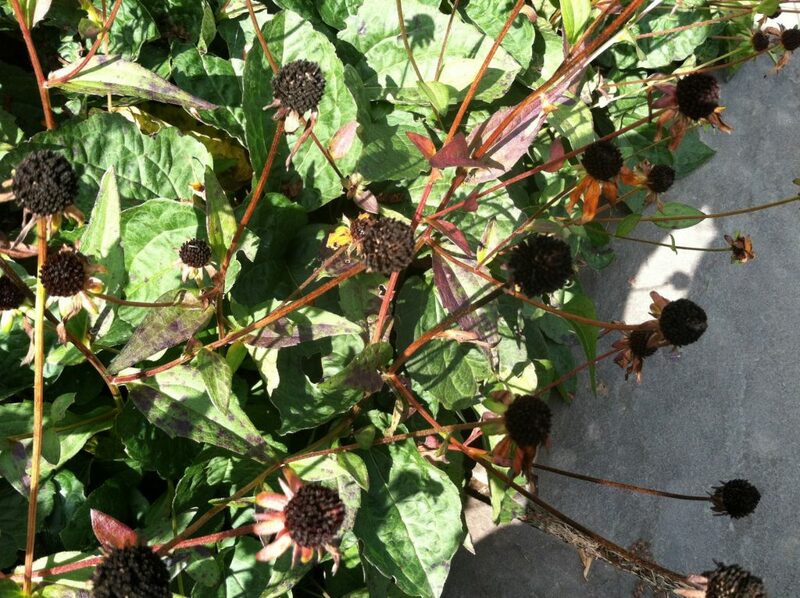 Be careful not to remove new buds at the base of old flower stems. When Lettuce gets bitter and starts to bolt, pull out the plants, compost them, and use the space for Bush Beans or Summer Squash. A late planting of Squash often fools vine borers. Keep up with weeding and watering. Harvest Basil by cutting off branches and then removing the leaves. Pinch off flower buds to keep your plant producing stems and leaves. Water when the top 1″ of soil is dry. Feed monthly with a balanced fertilizer. In forecasting trends for this winter’s weather, NOAA predicts New England’s drought conditions may improve somewhat in western parts of the region but dry conditions may persist in the east. 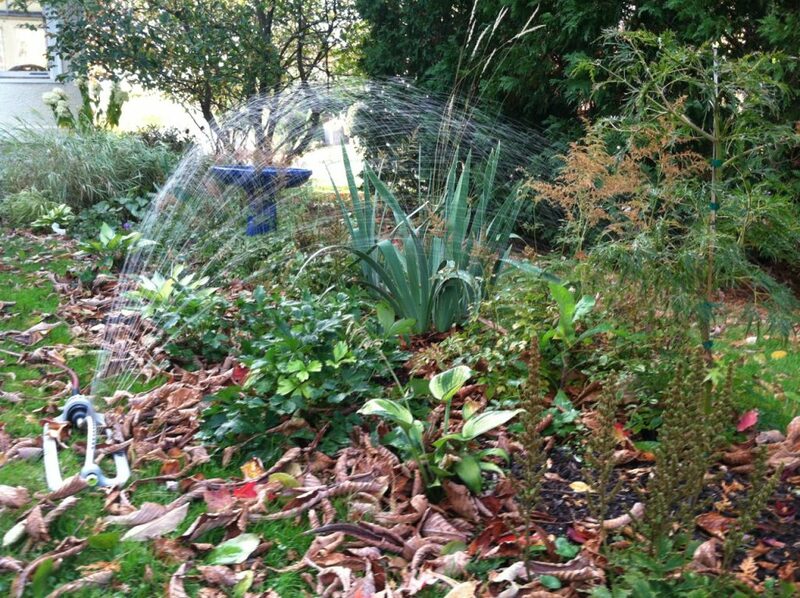 Given the drought conditions in many parts of New England, it’s essential to keep watering plants until a hard frost. The ground here in Litchfield County generally freezes hard sometime after Thanksgiving so we’ll keep watering until then. For best results with new plants including potted perennials, shrubs, trees and vines, give their roots a good soaking in their pots on the day before planting. 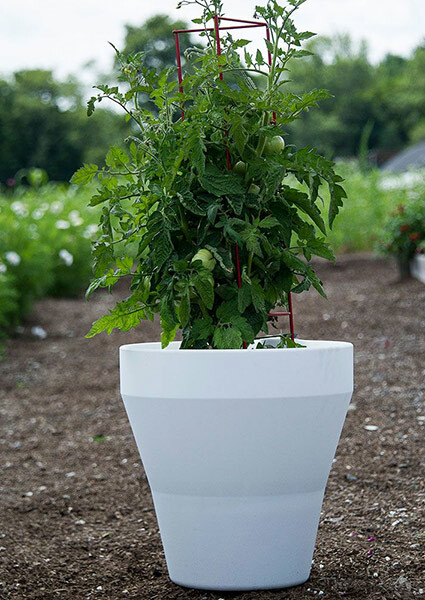 (You may even stand each pot in a bucket of water for up to 30 minutes so the soil is soaked through. Remove each pot from the bucket and let it drain.) 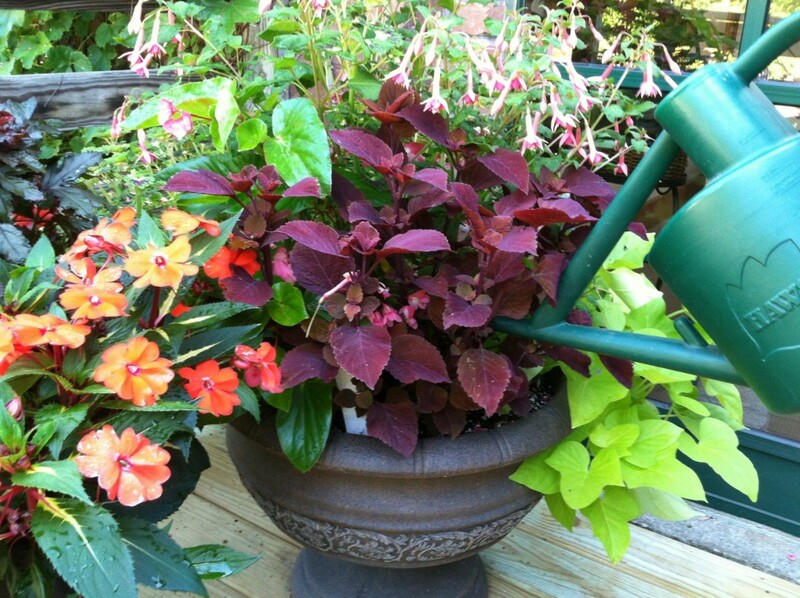 On the day you put the new plants in the ground, water them again, as needed, before and after planting. For bareroot perennial specimens, soak the roots in water for a few hours before planting. If the root is woody (as in roses), soak for up to 12 hours. Follow directions for planting your bareroot specimen then water it in once planted. If you live in an area where water restrictions have been imposed, you may choose to collect “grey water,” the type that’s generated by routine household rituals including bathing, brushing your teeth, washing dishes, and rinsing fruits and vegetables. As you start the shower or run the tap to rinse something or wait for hot water, collect the runoff in buckets or jars and bring it outside. Please note: While grey water that contains detergents or soaps may be used for some things, it is not recommended for watering plants. 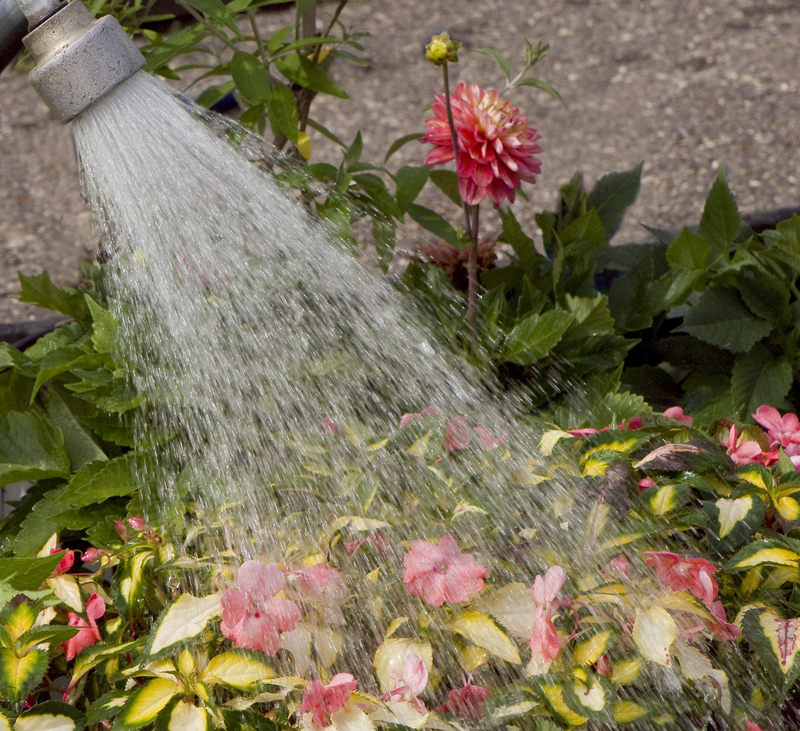 Be sure your grey water is free of shampoo, soap, toothpaste, dish detergent, grease, etc., which can potentially damage your plants or attract critters. 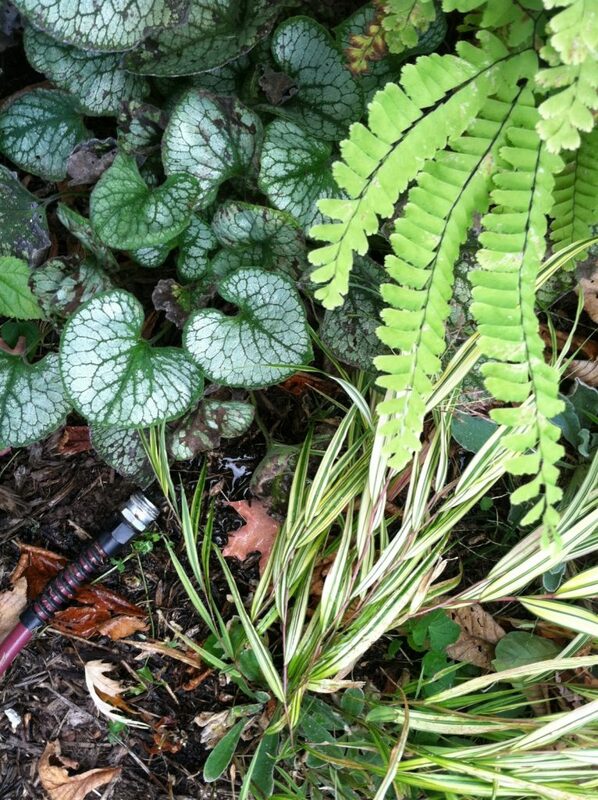 Plants that are stressed by lack of water are more susceptible to winter kill. Rainfall, if we get much, is another excellent source of water. Install rain barrels below your gutter pipes or set out buckets and pails to catch whatever falls from the sky. This is a terrific practice whether or not drought conditions prevail. To prevent your hose from cracking on nights when the temperature dips below freezing, remember to discharge any water that’s trapped in it after each use. While many of you undoubtedly spent summer engrossed in the latest New York Times bestselling beach reads, around here, the books we can’t put down are Weeds of the Northeast by Richard H. Uva, Joseph C. Neal and Joseph M. DiTomaso, and Weeds of North America by Richard Dickinson and France Royer. 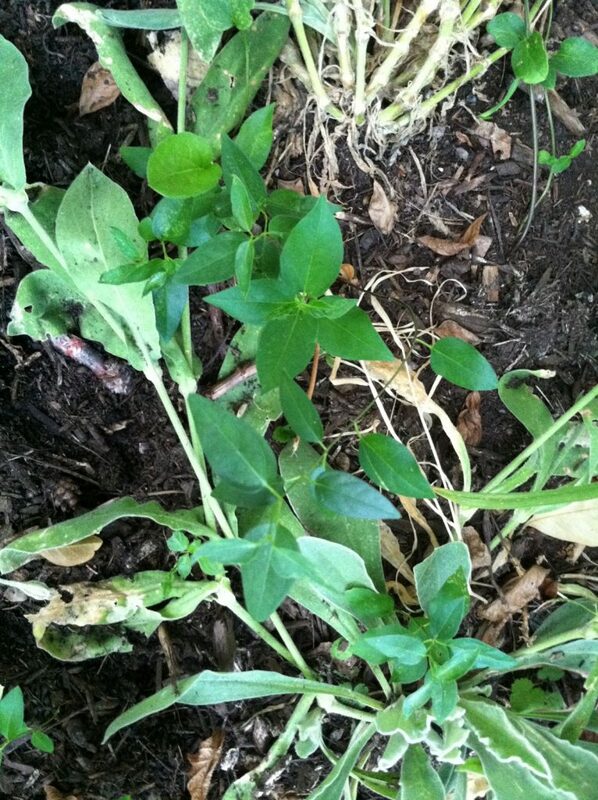 As we continue to pull weeds from our gardens, we thought you might like a primer on 10 of the most common types that might be appearing in yours. You can tell a lot by a nickname, and this one is commonly known as Inkberry (for its dark reddish-purple berries), Red Ink Berry (for the color that’s released when the berries are crushed), and American Cancer (for the toxicity of the leaves and fruits). 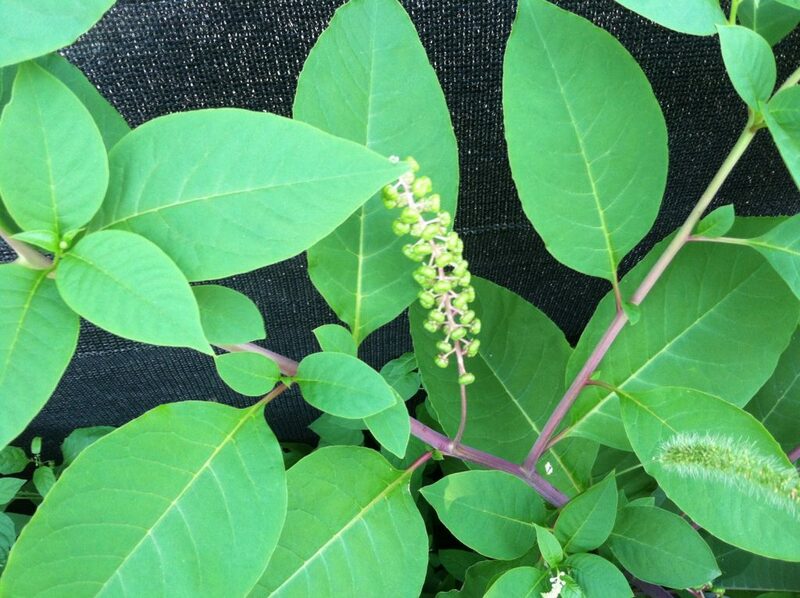 The one thing Pokeweed is not is a poke. The herbaceous perennial emerges in spring and, left untended, achieves the height of a small tree. It will climb over shrubs and grow alongside trees. You’ll recognize the seedlings by their oval green leaves, which often have a hint of reddish purple. 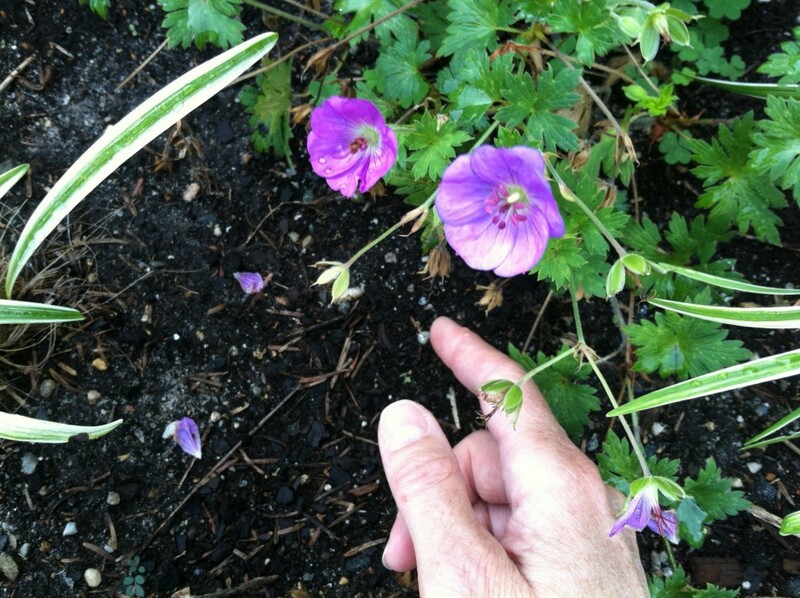 As they begin to stretch, you’ll see that the stems are also a reddish-purple. Green berries emerge in clusters, gradually changing to a gleaming purple-black. The shape of the berries is distinctive, too, like round balls that have been slightly flattened on each side. Large taproots make these a contest to remove, but it’s worth winning. This summer annual has watery, almost translucent stems that remind us of Impatiens. 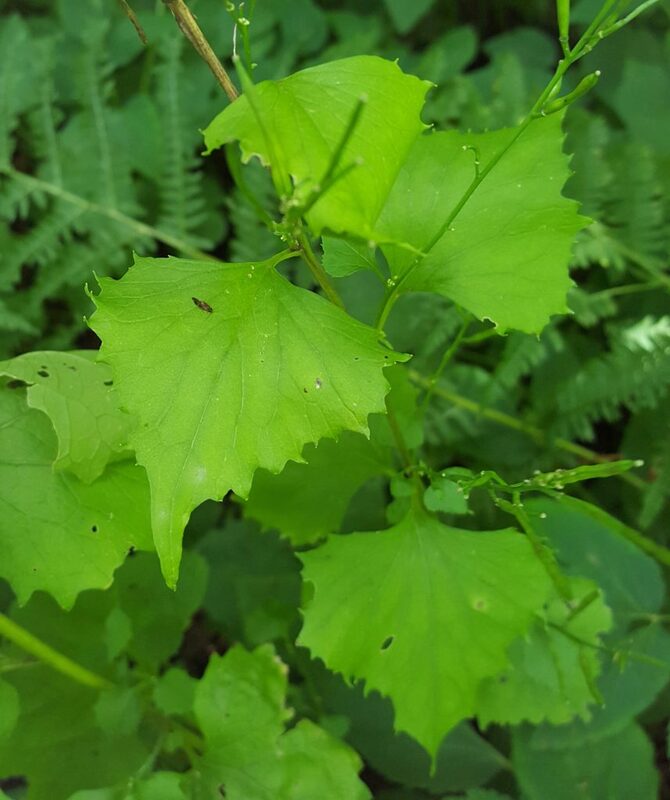 The fresh, shiny green leaves are opposite and have three pronounced central veins and serrated edges. The small flowers emerge from leaf axils and appear in clusters on the upper portions of the stems. Pull this weed, and it gives way very easily, which may account for our benign feelings about it. The bane of many a northeastern gardener, this twining, vining perennial can twist itself around shrubs and small trees. It has dark green leaves, purple-black fruit, and, most unhappily, a large root crown, which makes removal an Olympic sport. 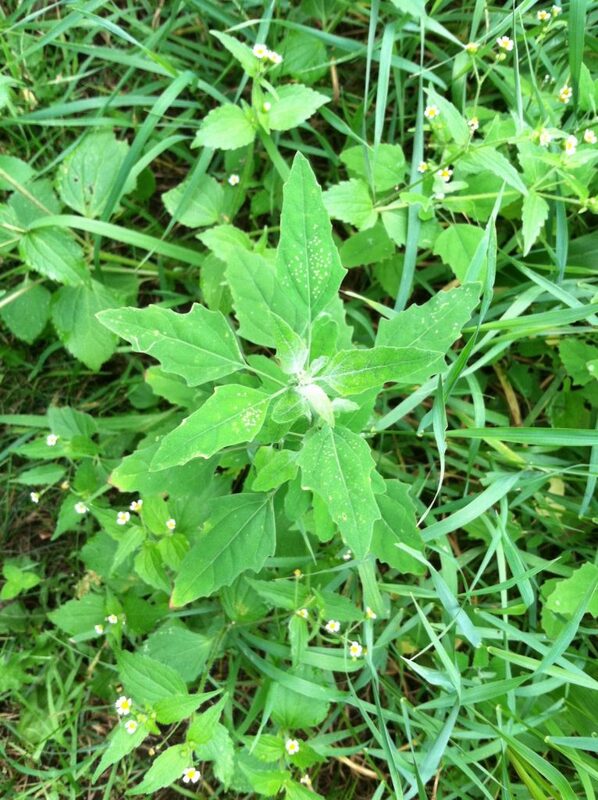 “Although primarily a woodland species, black swallowwort has become an invasive weed in recently cleared areas, conservation habitats, Christmas tree plantations, nursery crops, and other perennial crops such as alfafa. It also grows in fields, pastures, and waste places and along fence rows, often in sunny areas and calcareous soils,” write Uva, Neal, and DiTomaso. In short, it can be everywhere. Our recommendation: Dig it out to be certain you’re getting it by the roots, or you’ll be seeing it in perpetuity. 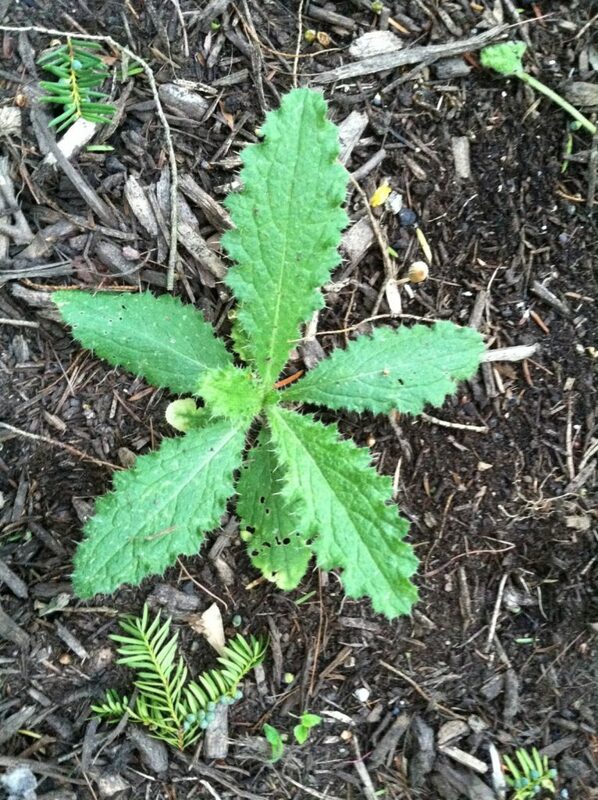 Sometimes confused with Canada thistle, this biennial is distinguished by its leaves, which are spiny above and woolly below (Canada thistle leaves are the opposite: smooth above and smooth or spiny below), and by its taproot (Canada thistle spreads by rhizomes.) Bull thistle favors rich, moist soil. It presents in spring as a rosette of leaves that are prostrate to the ground then develops a stem, which is punctuated by lance-shaped, serrated leaves. Bulbous lavender-purple fruit appears at the tops of stems. 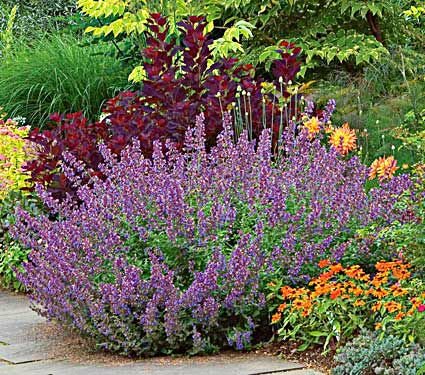 This perennial is hard to miss, especially if you’ve had the misfortune to step on it or come upon it ungloved. The spiny leaves appear first as a prostrate basal rosette and gradually lengthen. Allowed to mature, the Canada thistle will sprout stems topped by lavender-purple flower heads that open to release seeds that scatter in the wind. Where there is one, you may expect many more as Canada thistle spreads by rhizomes. This one needs no introduction. 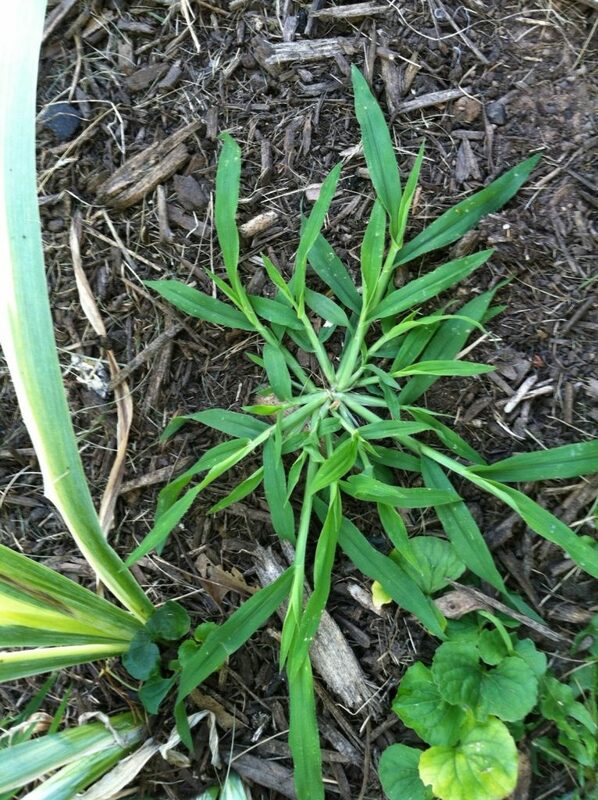 There are three common varieties, Large crabgrass (Digitaria sanguinalis), Smooth crabgrass (Digitaria ischaemum Schreb. ex. 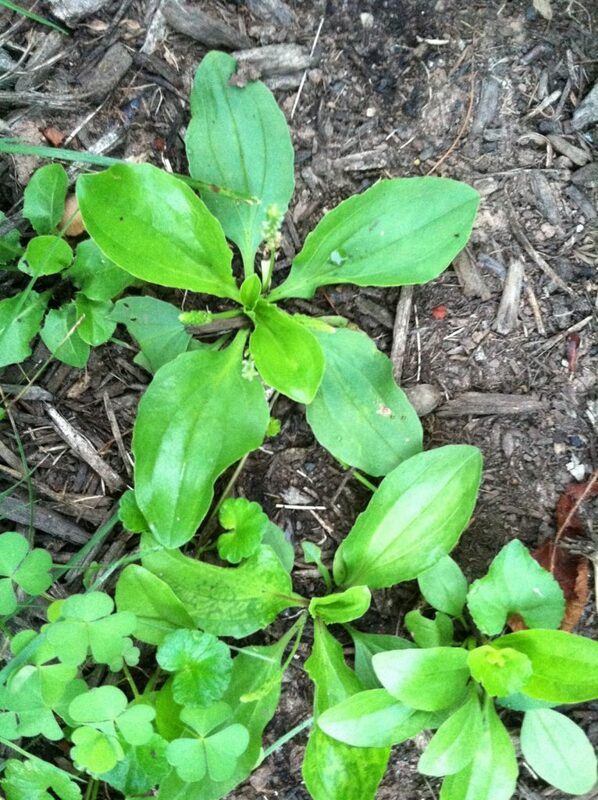 Muhl, DIGIS), and Southern crabgrass (Digitaria ciliaris (Retz.) Koel, DIGSP). All are the bane of gardeners everywhere. The blade-shaped green leaves emerge along prostrate stems. The fibrous roots always seem to be rooted in cement because they’re just that difficult to pull out. The part of the plant that’s above-ground seems always to snap off in your hand before the roots can be dislodged so use a weeding tool to loosen the soil then pull. Also known as Ground Ivy, this is not an ugly weed, it’s just a perpetual land-grabber. It creeps along the ground by runners, each node setting down new roots as the spreading continues. It’s especially fond of vaulting the distance between lawns and garden beds, and it will even crawl across the patio, if it can find sufficient footing. 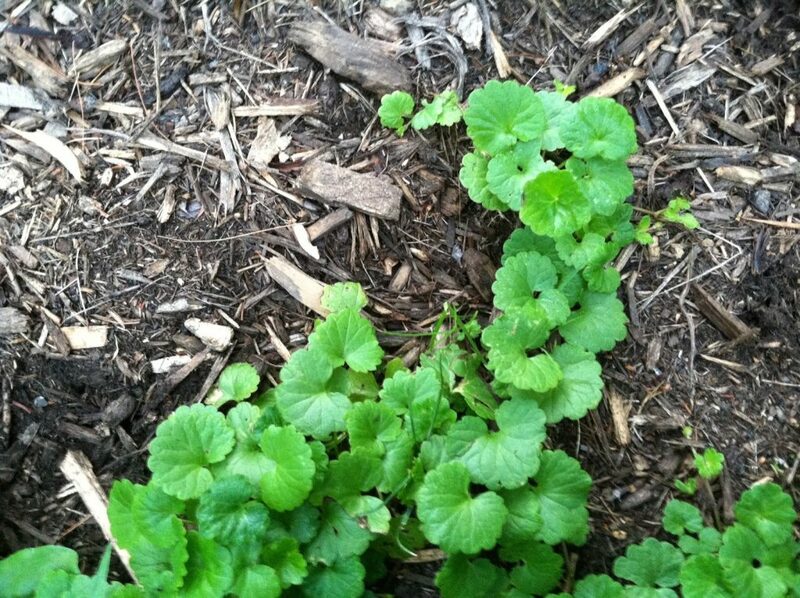 The round, scalloped green leaves form a mat-like ground cover, and in spring, purple flowers appear. Grab a string (or six) of stems and give them a tug. You’ll feel individual nodes pop out of the soil. A firmer tug releases the developed fibrous roots at the base of the plant. We feel a special animosity toward this one, a prostrate grower that holds tenaciously to the soil with a cluster of fibrous roots and single taproot. The broad green, deeply veined leaves hew to the ground, forming a mat from which sprout green flower heads that later turn golden brown. 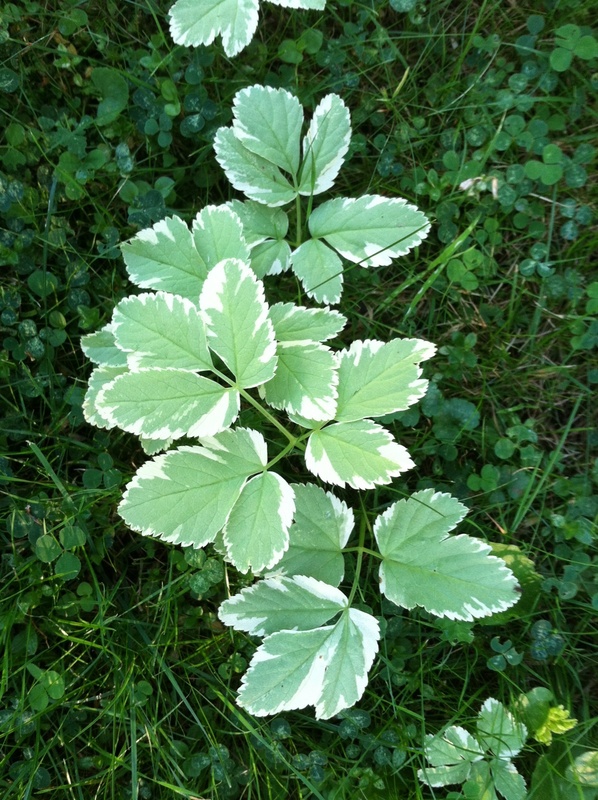 The variegated form of this super-spreader is called Goutweed. 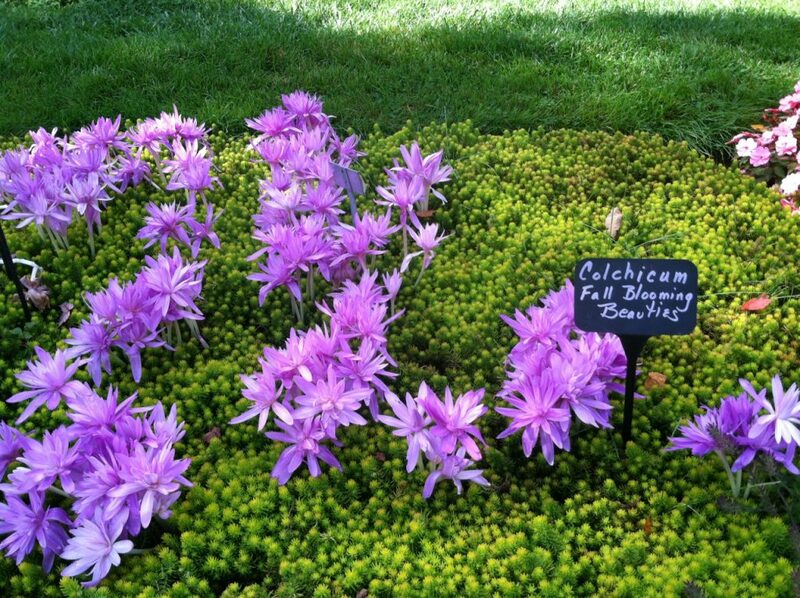 It’s offered at many nurseries as a ground cover, and while quite ornamental, it quickly manifests as a nuisance. 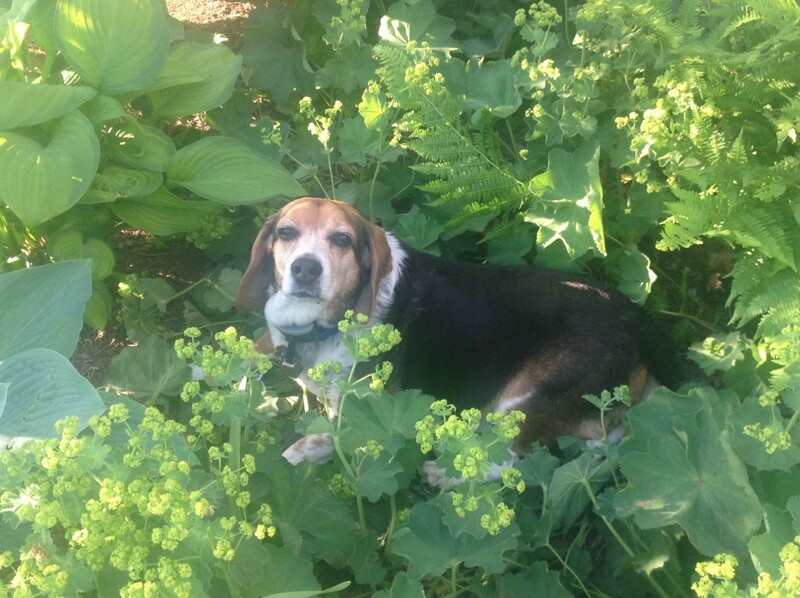 To quote the Missouri Botanical Garden’s outstanding website, It “Will rapidly form a continuous mound of attractive foliage typically growing to 8″ tall with an indefinite spread. Unfortunately, once it gets going, it acts like the proverbial snowball going downhill and can be difficult to contain.” While it is easy to remove with a quick tug, you may find the constancy of the job gets tiresome quickly. This European native was originally introduced to North America in the 1800s and was valued for its medicinal and culinary properties. But since then, this shade-tolerant biennial has become too common in wooded areas of the eastern and middle of the United States where it crowds out natives. Now regarded as an invasive, it forms basal rosettes of heart-shaped leaves in the first year. 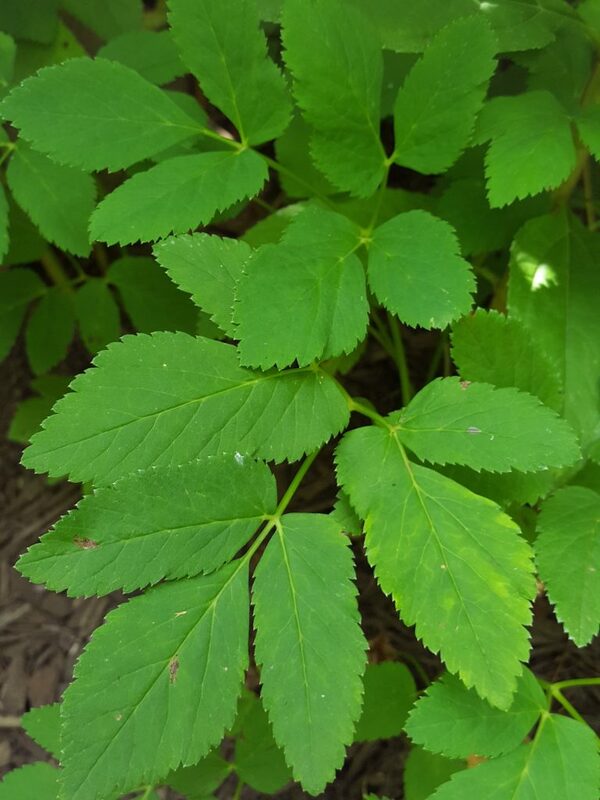 The following season, the leaves become more triangular in shape, and the plant sends up a 1–4’ stalk that produces small white flowers in early spring. 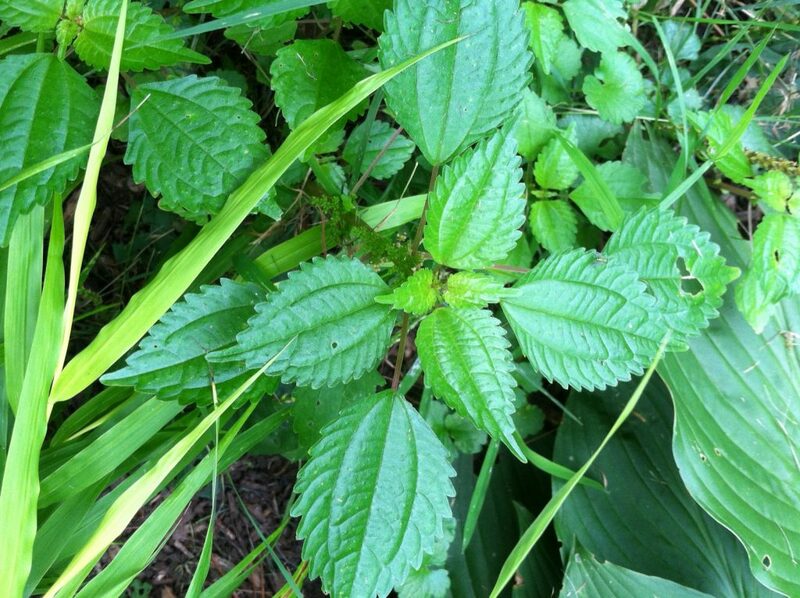 Apart from identifying the plant by its appearance, you can crush a leaf or stem. If you smell garlic, remove the plant. We find this upright annual in lots of places at the farm where it likes to pop up at the edges of fields and meadows. The gray, felted-looking leaves make it easy to spot along with its broad, branching habit. Left to grow, it can reach heights of 3’ in a single season. I find it ironic that every year, by the time it’s mid-summer, I am kind of over gardening. Isn’t this the very moment I’ve been waiting for? After all, there shouldn’t be too many nasty surprises lurking on the horizon. Not a frost in sight. Everything that’s going to come up for the season has either already bloomed or at least it’s on it’s way. I have honed my Tomato-growing practice to a single, glorious plant (‘Red Currant’ this year). Shouldn’t I be strolling through the garden, feeling nothing but bliss? But no. I find myself looking around, agitating about all the dull stuff that needs to get done. My Leucanthemum is starting to go past. I should get out there and deadhead the ones that have lost their color. I should also probably get my soil tested. 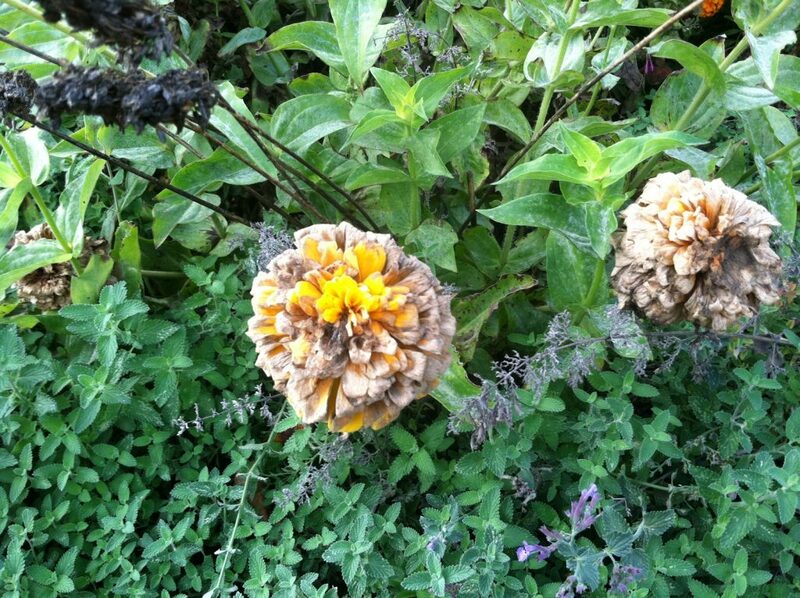 I should deadhead my Nepeta. And my Alchemilla Mollis. I want to get better vases for my Dahlias. I should add lime to my soil to make them bloom better next year. I should plant more Blueberries and figure out some way to keep the birds away. The list goes on. 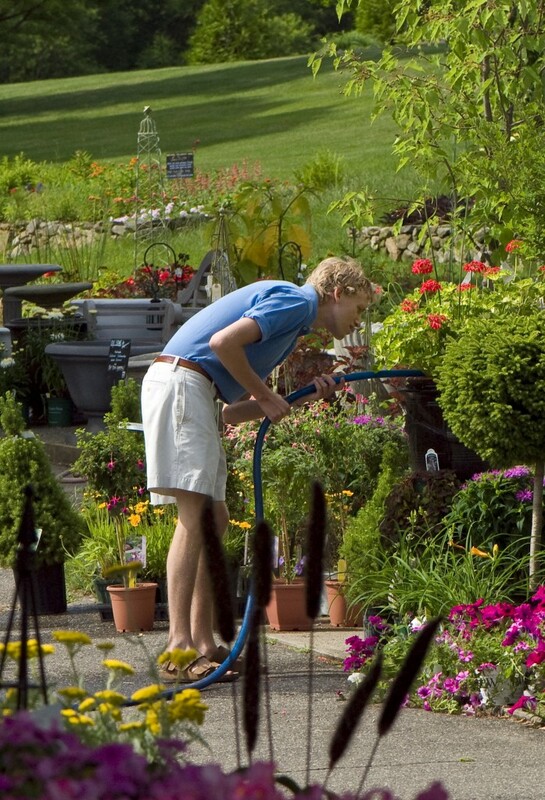 A visit to Michael Trapp’s garden in West Cornwall, CT, is a treat for anyone. 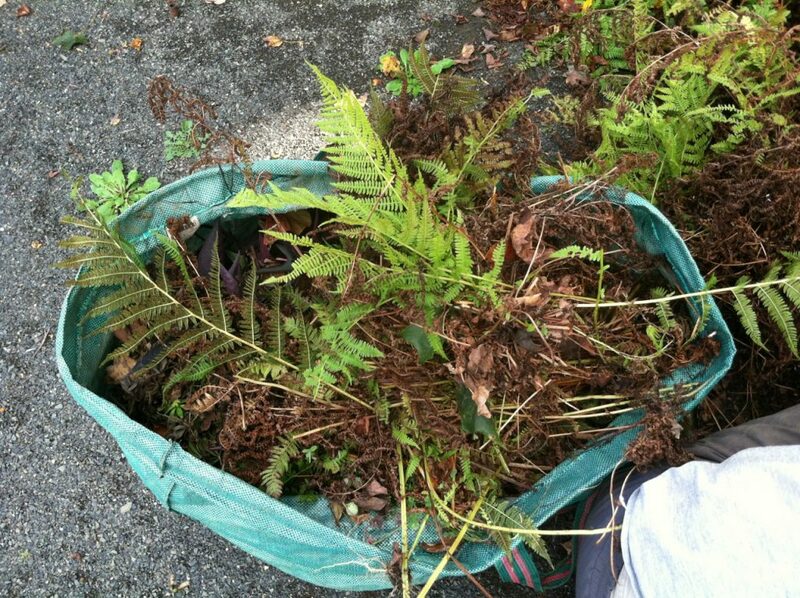 A few weeks ago, when I felt buried in garden busy-work, I got an email from The Garden Conservancy. There were open gardens in my area. 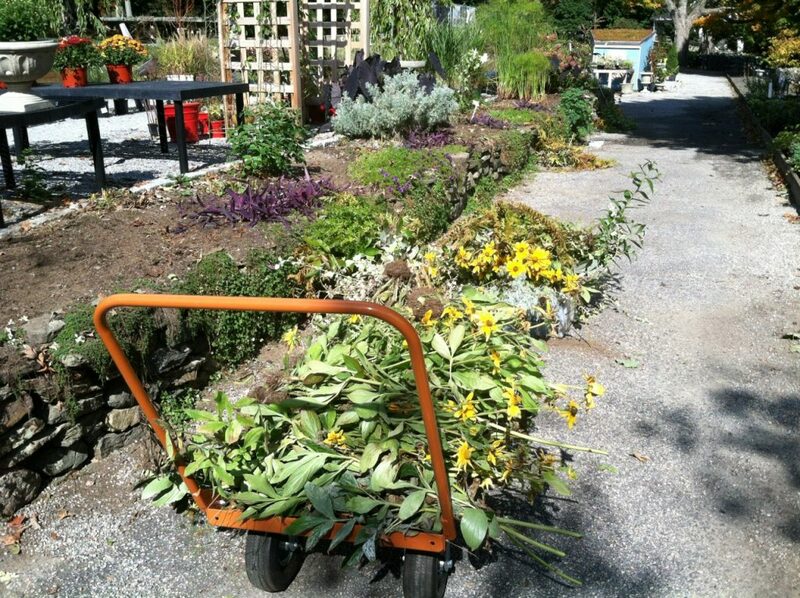 Facing nothing but chores in my own garden, I headed for West Cornwall, CT, to see what other gardeners were up to. I had been to Open Days before but not for years. There was always too much to do at home, and I was sure that looking at other gardens would overwhelm me with jealousy. In short, let me say that looking at other people’s rather perfect gardens has been the best way to rekindle interest in my own garden. It’s not that my garden compared favorably (in fact, it was quite the opposite), but it was exciting – and I don’t use that word lightly – to see the very personal and very concrete results of what must have been thousands (millions?) of decisions, many of which were probably challenged along the way. It was like seeing the “after” pictures in a before/after series. You know how they can be gratifying, even if you had nothing to do with the project? How it makes you think you can do the same thing, even if you don’t want to? It doesn’t matter! It’s fun just knowing what’s possible! I think I need this pool. Thanks for showing me that it’s possible! 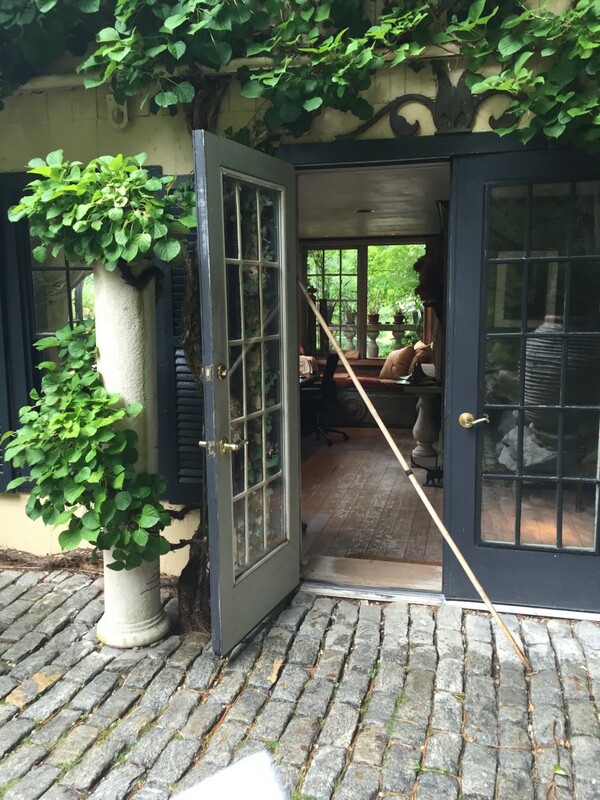 I got so hooked on Open Days, a few weeks later, I attended one of the Garden Conservancy’s Digging Deeper lectures at Twin Maples in Salisbury, CT. The subject was Exploring Twin Maples – The Evolution of a Garden. It promised a setting that “flows smoothly from architecture to nature, from formal garden to field, with extraordinary views of the Litchfield Hills.” It made good on those promises and so much more (out of respect for the owner’s privacy, photographs are not to be published). Visiting Michael Trapp’s garden made me realize that my garden is in desperate need of a bed or two of Ostrich Ferns and Ivy. 1. 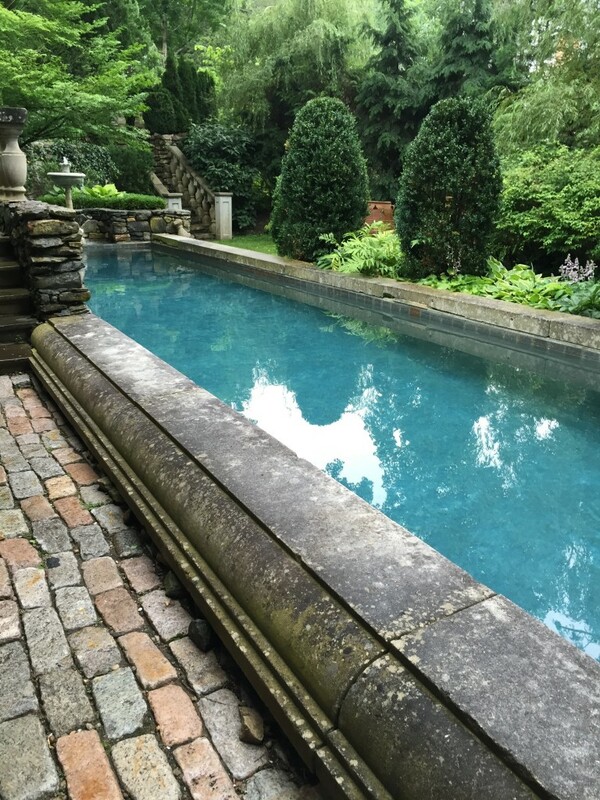 If I ever have a swimming pool, it will be 10′ x 60′. 2. Perennial wildflower meadows do NOT come from a can of seeds. 3. I must own a ‘Quick Fire’ Hydrangea. Or 10. The white blooms practically glow in the dark and they can bloom as early as June. 4. 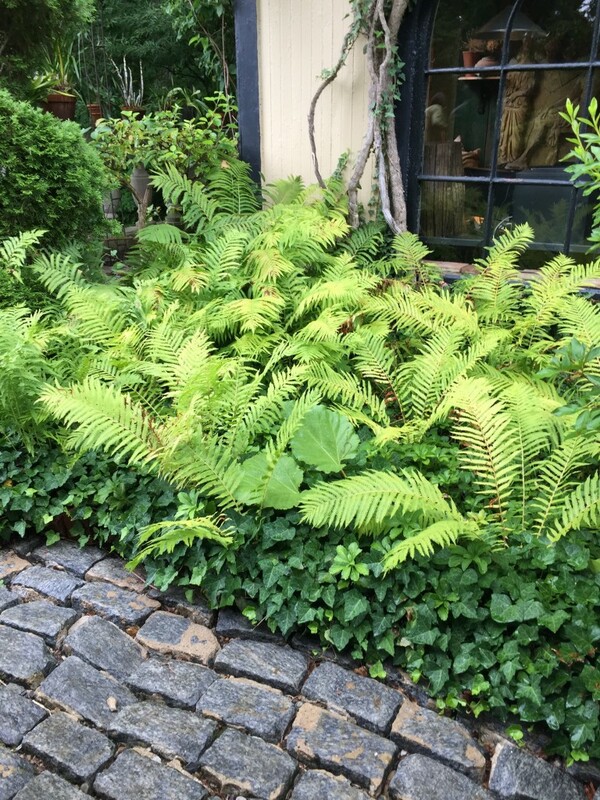 When in doubt, use Ostrich Ferns towering above any ground cover. 5. Growing six ‘Black Beauty’ Lilies is not enough. Go for around 100. Seriously. 6. Next year, I will stake my Dahlias with Tomato cages, and hang little tags on them to keep track of the varieties. Why didn’t I think of that before? 7. A garden without a destination is not a garden. Plant an orchard within a meadow, or put a stone bench just about anywhere. 8. Wildflower meadows look different every year. 9. There are very stylish ways to use common plants. Oh yes, there are. 10. No garden is too fancy to keep pets. This is a corner of my own garden, occupied by Max on a hot day. He smushed the plants, but he looks cute, so he gets to sit there whenever he wants. 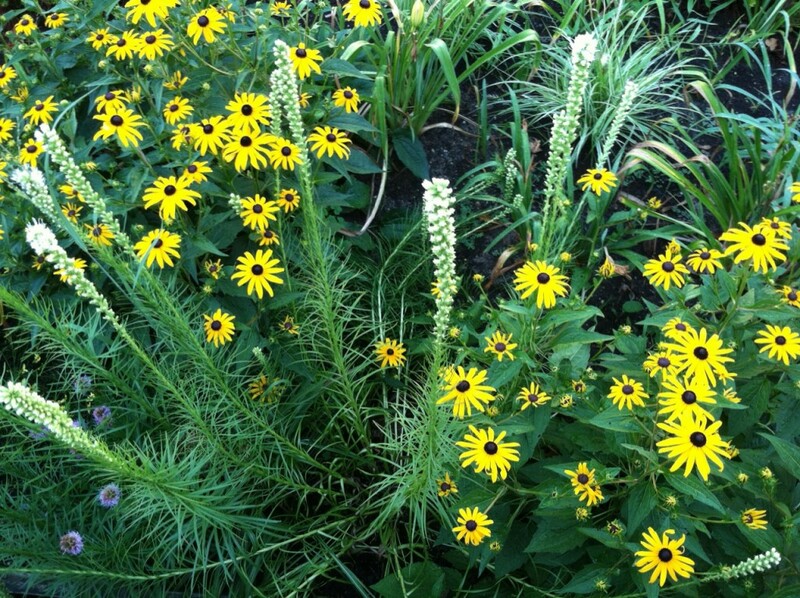 For more information about the Garden Conservancy’s Open Days program, click here. It’s an exciting time in the garden. April’s below-average temperatures may have given all of us cause for concern, but it’s caused surprisingly few ill effects in the beds and borders. 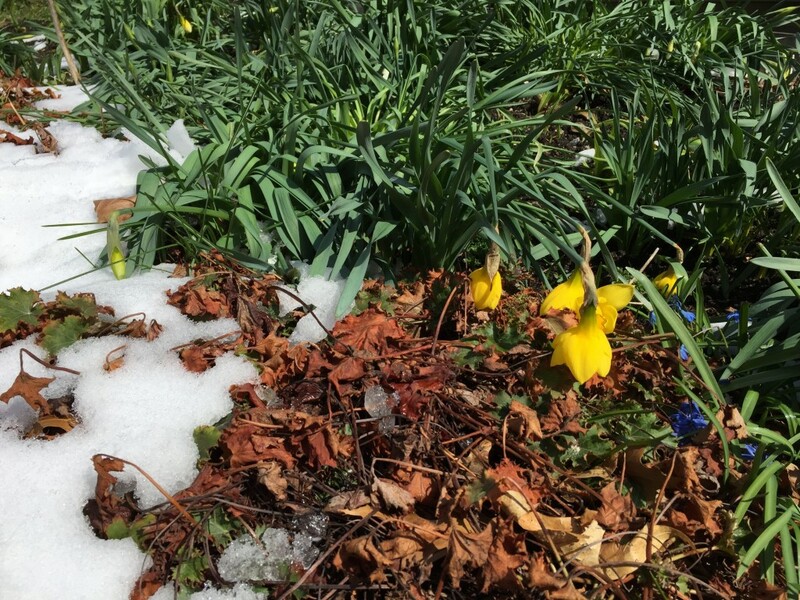 Plants of all types are shaking off their winter dormancy. Bulbs are sending up colorful blooms, and perennials and shrubs are breaking into bud, their emerging foliage like green flags that herald the new season. 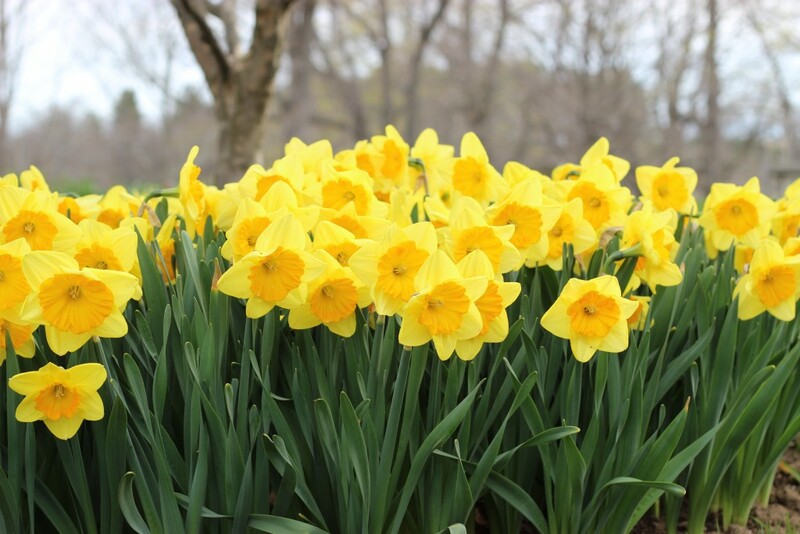 Our early blooming Daffodils, including ‘Rijnveld’s Early Sensation,’ timed its arrival to avoid one of April’s worst cold swings, and these robust growers held their heads high as the mercury continued to swing a bit ruthlessly throughout the month. Later bloomers, including radiant Narcissus ‘Pride of Lions,’ are presently putting on a splendid, weeks-long show. Elsewhere, the fruits of the plotting and planning done last fall by our head gardener, Cheryl Whalen, are everywhere to be seen. The display gardens are full of new bulbs, new bulb combinations, and new planting ideas. Reliable old friends including Hostas and Astilbes are waking up to a new season. The reddish stems of Peonies are providing a colorful, contrasting backdrop for bulb blossoms of all types, and feathery Astilbe foliage, also with reddish tones, is creating an interesting carpet under the colorful blooms of Chionodoxa and dwarf Daffodils. 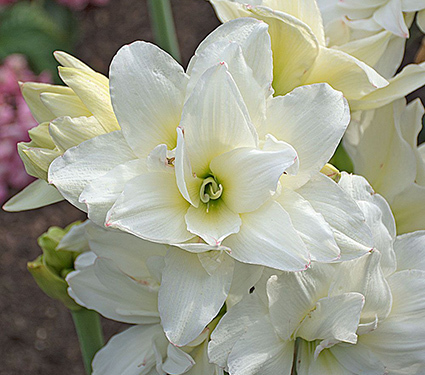 Narcissus ‘Pride of Lions’ is making us proud. The vivid yellow blossoms with orange cups rimmed in red held their heads up through spring’s tempests and temperature swings. 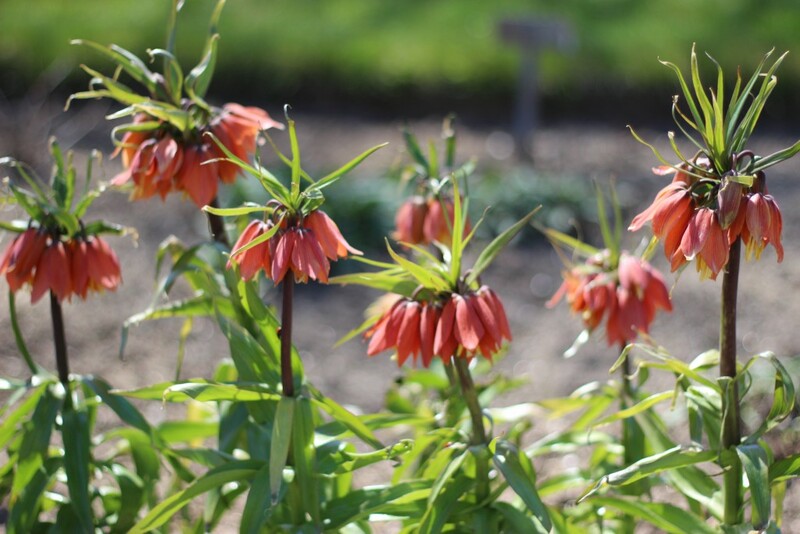 This season we’re trialing Fritillaria imperialis ‘Beethoven,’ which blossomed promptly in late April, its brick red flowers and distinctive form attracting all eyes. 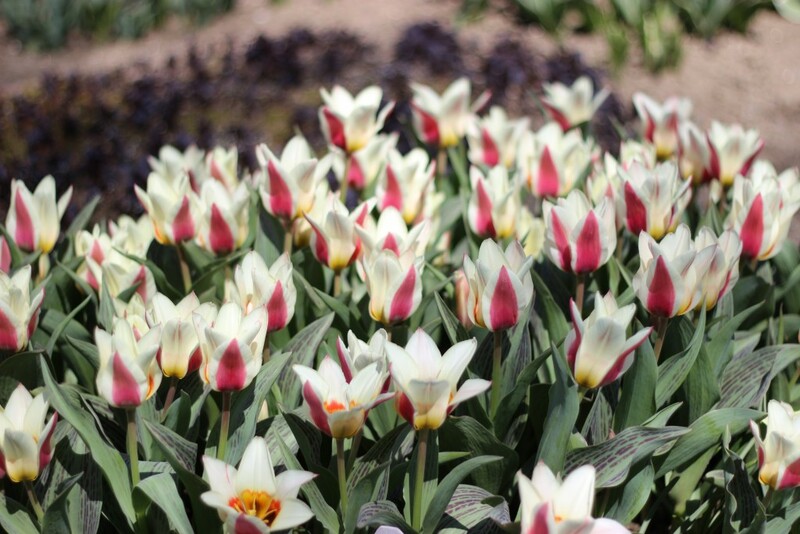 Another plant we’re trialing this season is Tulip ‘Ice Stick.’ What do you think? 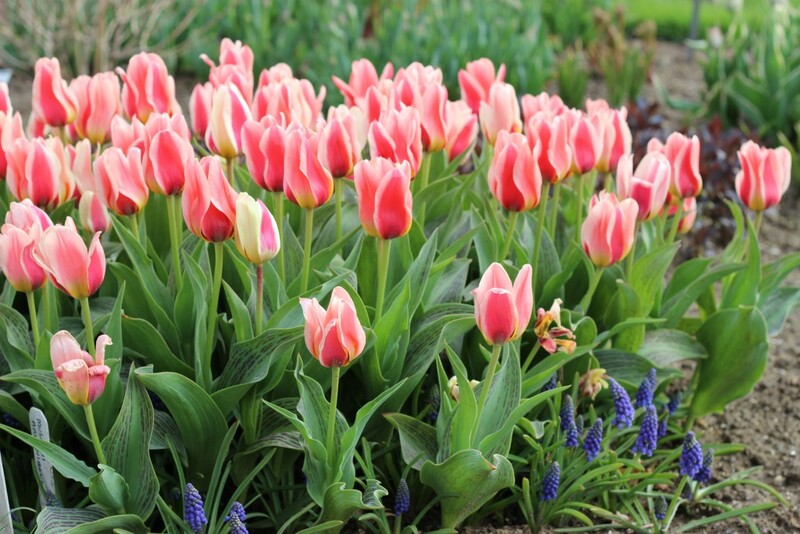 And another auditioning for our catalog is Tulip ‘Mary Ann.’ Cheryl planted it with Muscari armeniacum at its feet. In the raised beds where we often trial Tomato and other vegetable plants, Cheryl planted Tulip bulbs last fall to create spring cutting gardens. 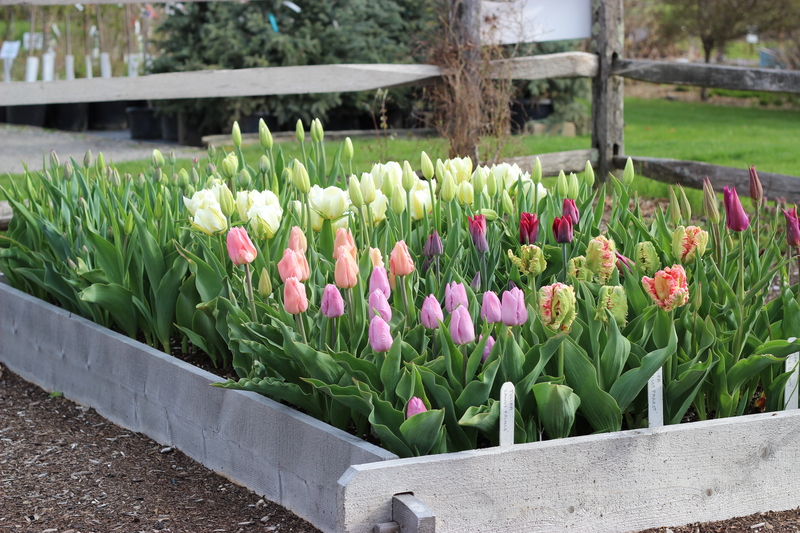 Each raised bed is designed to house a variety of Tulips that offer a succession of bloom. In each raised bed is at least one early bloomer, one mid-season selection, and one late bloomer. Here, a Parrot Tulip mixes with some Early Single and late Lily-flowering types. As each Tulip variety blossoms, there are flowers aplenty to fill vases. When blossom time passes, we’ll be doing what’s known as the Tulip-Tomato Tango. 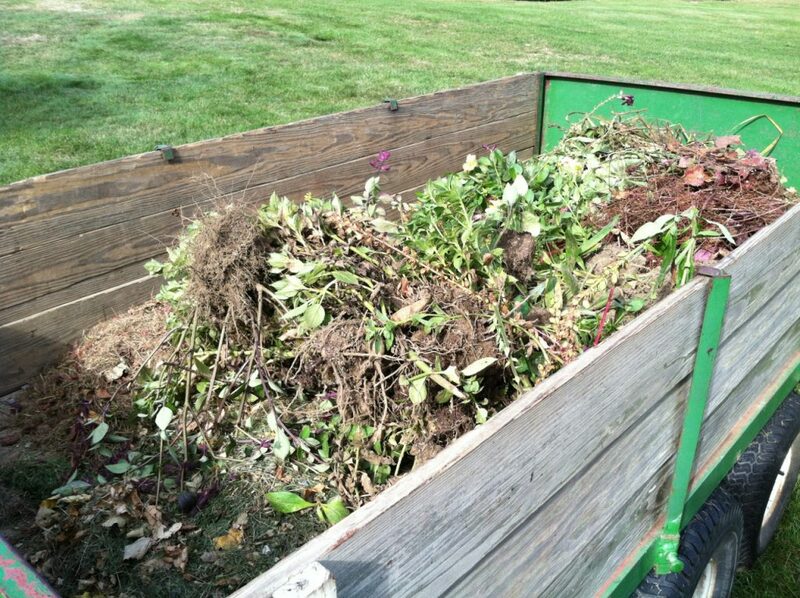 We’ll dig out the Tulip bulbs, compost them, and fill the empty raised beds with Tomato and vegetable plants. This time-honored “tango” is a terrific way to maximize use of garden space, and to get the best of what each growing season has to offer – beautiful cut flowers in spring, and tasty Tomatoes in summer and fall. Is There Anything to Do About a Late Freeze? Large portions of the northeastern United States have experienced a difficult turn in which the normal weather patterns for March and April have been roughly reversed, with a series of soft, warm spring days in March followed by the recent hard frost and snow. 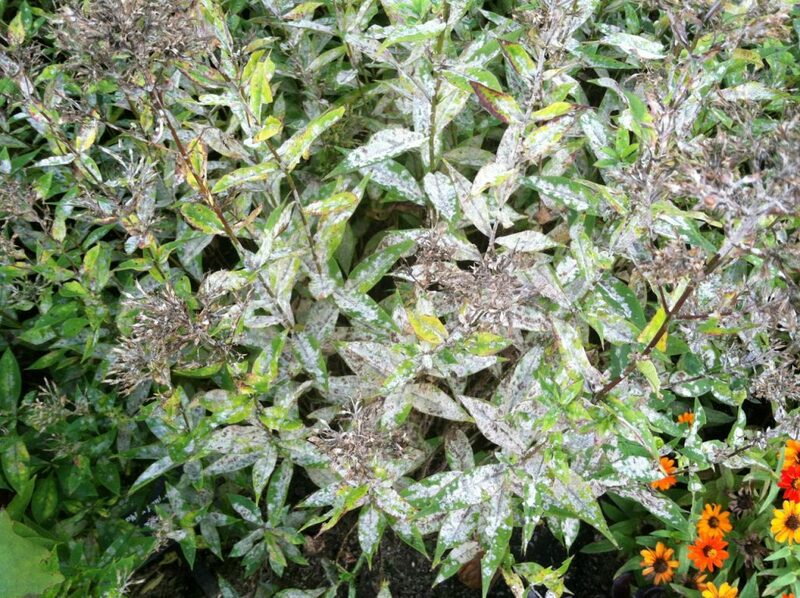 As you probably understand, late frost after a warm spell is dangerous to plants whose metabolism has been stimulated to produce tender spring growth. The effects can be damaging to flower buds and even to roots, endangering the survival of some varieties and diminishing the bloom and fruiting of others. Take a careful look at every corner of your garden to understand which plants are at risk. First, take a careful look at every corner of your garden to understand which plants are at risk. You’ll have no trouble recognizing frozen tissue, which will be either mushy or discolored. Blasted buds may have cracked, split, or simply dropped off their stems. Crowns of perennials may appear dry, or mushy, or discolored, and the new growth at the end of the stems of shrubs may be gray or brown. On woody plants, it’s easy to determine whether an individual branch is damaged by scraping back a small piece of bark to expose the underlying tissue, which will be green if that branch is alive. Hold off scraping until cold weather has passed. Because damage is difficult to assess with precision, it is very important that this reconnaissance not involve any immediate action with one important exception. If the sequence of freezing and thawing has caused a plant to heave, meaning its roots have been lifted out of the soil and exposed to sun and air, you should immediately replace soil over the roots, gently firming the new soil and then watering it to restore moisture to the tissue. Thereafter, the best medicine is PATIENCE, not extreme measures. 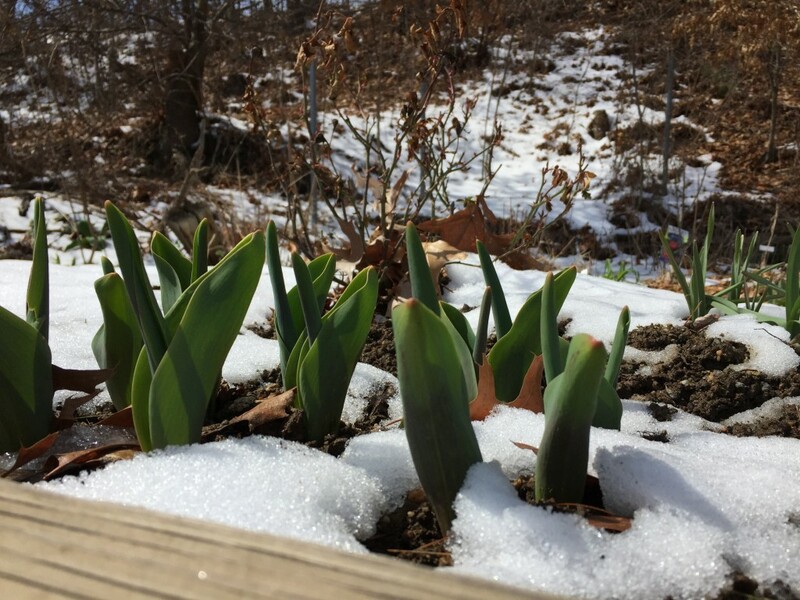 It may take a few days, up to a couple of weeks, of normal weather for plants to reset their clocks and start growing again. During this time, you are likely to do more harm than good by actively digging, pruning, weeding, feeding, and all the other forms of nurturing that occur logically to plant lovers. To determine whether an individual branch is damaged, scrape back a small piece of bark to expose the underlying tissue, which will be green if that branch is alive. Hold off scraping until cold weather has passed. Second, after about 10 days, serious housekeeping can begin. It will generally be possible to determine which plants have not survived and need to be replaced, which need to be cleaned up by the judicious removal of damaged tissue, and which came through without damage. 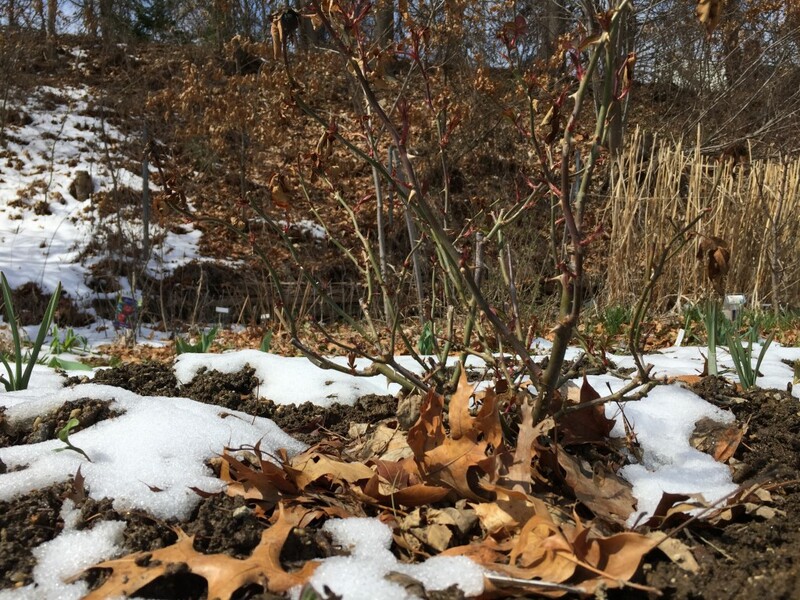 You may find yourself pruning spent buds off shrubs or fruit trees, meaning a spring without flowers or fruit, and occasionally conducting last rites for longtime favorites in your gardens. Rugged individuals like Daffodils, Tulips, Peonies, Daylilies and Hostas rarely succumb (one of the many reasons they are so popular), meaning you won’t be starting from scratch. Rugged individuals like Daffodils, Tulips, Peonies, Daylilies and Hostas rarely succumb to a late frost. Over many years in the difficult and changeable climate of New England, we have dealt with many of these seasonal surprises, and in every case, the disappointments were substantially offset by the opportunity to try new ideas, solutions, and inspirations. We are, of course, available to assist in every possible way, including the prompt delivery of whatever replacement plants you may need. We will be making similar replacements in our own gardens.